There are few places in London, where good window cleaning services are truly important, and one of them is the district of Belgravia. This highly exclusive area demands beautiful facades and spotless windows. One way to achieve this, whether you have an office or a residential building, is to hire Fast Window Cleaning London. Our company surely knows how to properly clean windows. Thanks to our services, the windows of any building can shine like they are brand new. There is no doubt that our window cleaning in Belgravia is fitting for this really expensive neighbourhood. Our company is nothing like the other cleaning providers of the area. Upon contacting 020 3322 8261, you will immediately know that we are different. Our representatives will greet you warmly and explain whatever additional details you require. Apart from that, we will provide a free quote on our services. If you think our services are worth a shot, we can finalise the details and begin work immediately. That is not only good for you, but also for the building you want us to clean, as it will soon enough sparkle with beauty. What makes our window cleaning in Belgravia such a good option? On one hand, we fully understand the importance of our work, so we never skip any corners. We are especially thorough and settle for nothing but a flawless outcome. Our staff consists of highly-trained cleaners, ready to overcome any challenge presented. They are all vetted, so our clients don’t really have to worry about a thing. Furthermore, we have the equipment and tools needed to complete the job the highest standard. It doesn’t matter what the cleaning challenge is. You can rest easy, knowing that we will provide a superb cleaning service. Give us a call on 020 3322 8261 and we will arrange the best cleaning services for you. Perfectly clean windows are literally just a call away! The district of Belgravia is among London’s most expensive and exclusive ones. The district is located within the City of Westminster, as well as the London Borough of Kensington and Chelsea. Most of the area is known by the name of Grosvenor Estate, owned by Grosvenor Group – the Duke of Westminster’s property company. In fact, it is the title of the Duke – Viscount Belgrave – that gives the area its name. The centre landmark of Belgravia is Belgrave Square. Multiple statues are located here, all designed by the Italian Enzo Plazzotta. The houses on this square are distinctively large, mostly joined by classical style terraces. Beautiful white stucco terraces can be seen on the houses of Lowndes Square. It is curious to note that Sir Christopher Lee was born in Belgravia. 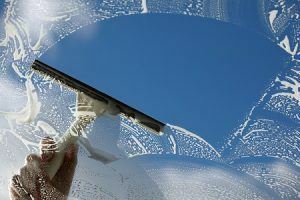 Contact our customer support team today on 020 3322 8261 to get more information about our window cleaning in Belgravia.